Kuo, of KGI Securities, believes the 6.1-inch handset will be priced between $699 and $799, with the pricing determining how many units Apple will ship. If the company skews on the lower end, he sees shipments reaching as high as 115 million units. The question for Apple, Kuo believes, is whether or not the company sees the 6.1-inch model as the successor for both the iPhone 8 and iPhone 8 Plus. In all, he believes the 6.1-inch iPhone will account for about 50 percent of new models set to ship in the second half of 2018. 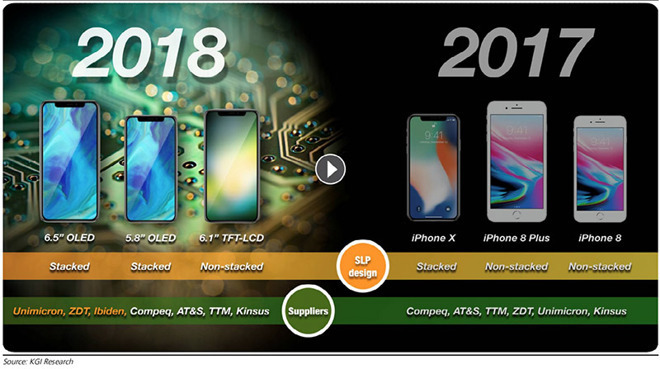 Kuo has repeatedly said he believes the 6.1-inch iPhone will outsell OLED models when it arrives later this year. The handset is believed to sport an LCD screen, like legacy iPhone models, allowing it to be cheaper than the iPhone X lineup. It's expected that Apple will introduce at least three new handsets this year, all of which will sport Face ID and ditch the home button. In addition to a successor to the iPhone X and the LCD model, Apple is also said to be working on a jumbo-sized iPhone X variant with a 6.5-inch OLED display. Kuo previously predicted that the 6.1-inch phone will cost between $700 and $800, allowing it to take the place of the current iPhone 8 lineup. By using cheaper parts than the iPhone X, it will also allow it to undercut the premium price of that $999-and-up device, making it more palatable for some consumers. The 6.1-inch iPhone is rumored to lack 3D Touch and have 3 gigabytes of RAM, compared to 4 gigabytes in the OLED models. Apple is also believed to be planning to use a non-stacked motherboard, and a cheaper rectangular-shaped battery. 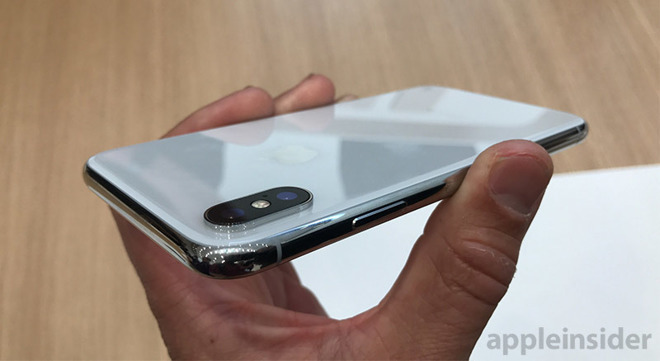 Kuo expects the new LCD model will feature the same camera "notch" as found on the iPhone X, accommodating the Face ID array, but it will not sport a true edge-to-edge display, because of the limitations of LCD technology. Kuo has been a strong source of information on Apple's future products for years. Last year, he correctly forecast many of Apple's future product plans, including numerous details about the iPhone 8 and iPhone X, though he does not have a perfect track record.